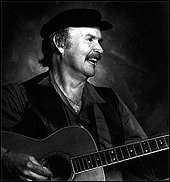 LONDON (CelebrityAccess MediaWire) — U.S. folk singer Tom Paxton will be honored with an official Parliamentary tribute during his upcoming U.K. tour. Tom will visit Parliament on January 22nd, prior to his London date at the Queen Elizabeth Hall, where he will be received by the House of Commons. “Tom’s songs of love and family and our many human foibles, both entertain and remind the public and politicians of how far short of our ideals we so often fall. Music and art has always played a crucial part in this process and Tom Paxton has been at the forefront for so many years. That is why we intend to pay a tribute to him in Parliament in January."